Please tick here to confirm that you are happy to receive special offers from Photobooths. Photobooths trades under Resus Digital Ltd. You may unsubscribe from communications at any time. 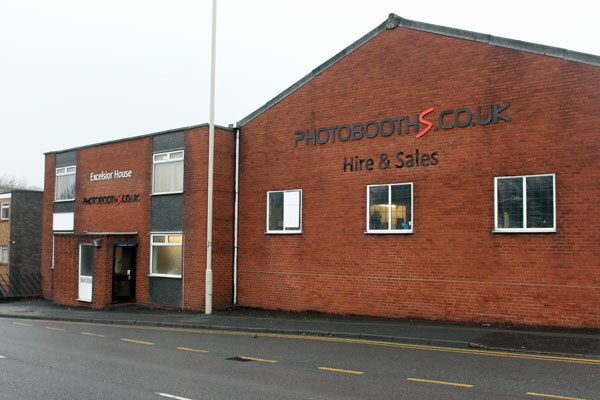 Photo booth showroom is located in our Head Office in Halesowen, West Midlands where we would be delighted to show you all the different shapes of booths available and demonstrate our bespoke photo booth business software as well as answer any questions you have about running your photo booth business. Important Note: You will need to book an appointment in advance before visiting as we do get very busy. We would hate for you to make a wasted journey. 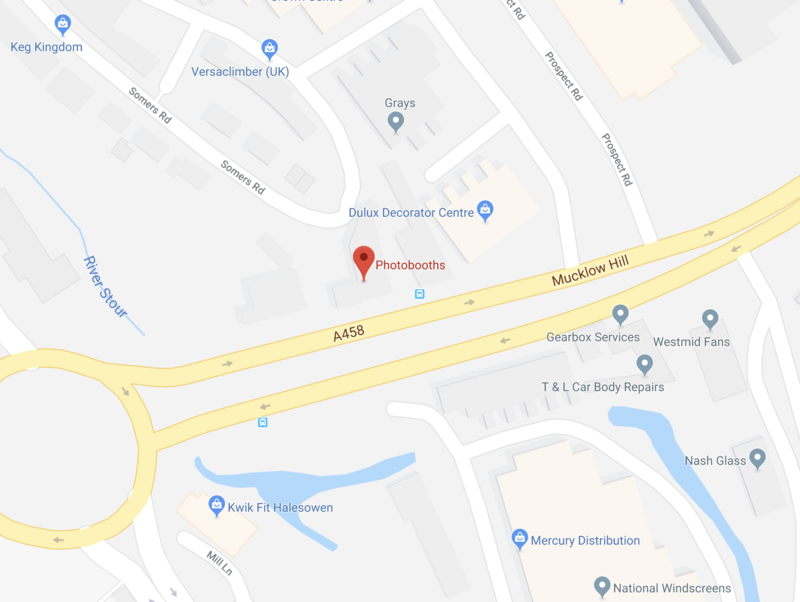 We are situated at the bottom of Mucklow Hill, about 10 yards off the roundabout. Look out for the first bus stop on your left, pull in and you will see our driveway. If you reach Wickes, Screwfix, B&Q, you have gone too far up the hill, please turn around and come back to the bottom of the dual carriageway.